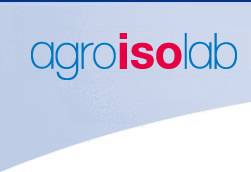 Agroisolab GmbH is an independent and privately owned laboratory. In 2002, Agroisolab GmbH successfully acquired the isotope laboratory of the Forschungszentrum Jülich (Research Centre Jülich) and managed to benefit from the excellently equipped laboratory and the highly qualified staff so it could serve the market right from the start. Through the continuous development of the stable isotope technology, the Agroisolab GmbH is one of the few laboratories in Europe that offers the analytics of the isotopes of all organic elements and can test almost any organic material for its origin. Agroisolab GmbH has assumed worldwide leadership position in the area of origin testing of groceries and agricultural raw materials. The know-how from over 20 years of product development and research in the field of isotope analytics is the basis of Agroisolab GmbH. Our customers profit from our new, practice oriented application possibilities of the isotope analytics. The labeling system ISO-ID patented by Agroisolab GmbH is the first product based on the isotope analytics which enables the designation of organic products based on water. As well, Agroisolab GmbH is the owner of additional patents for sample processing. Our laboratory was accredited through Deutsche Akkreditierungsstelle according to DIN EN ISO/IEC 17025:2005 under the DAR-registration number D-PL-14370-01-00. The professional competence of an interdisciplinary team of food chemists, agricultural scientists, agricultural- and chemical engineers as well as commercial members of staff enable an optimum handling of the work orders in the laboratory and an individual support of our customers.